Madagascar is among the poorest countries in the world. On the photo above: Our partner Guy Randriatahina provides local youth with the information leaflets about lemurs. 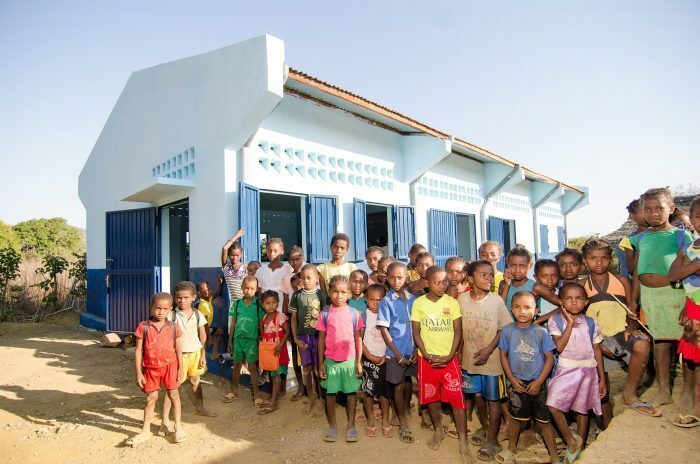 Madagascar’s children lack an adequate educational system. Textbooks available to Malagasy children teach them nothing of local fauna and little about their own country and unique cultural identity. 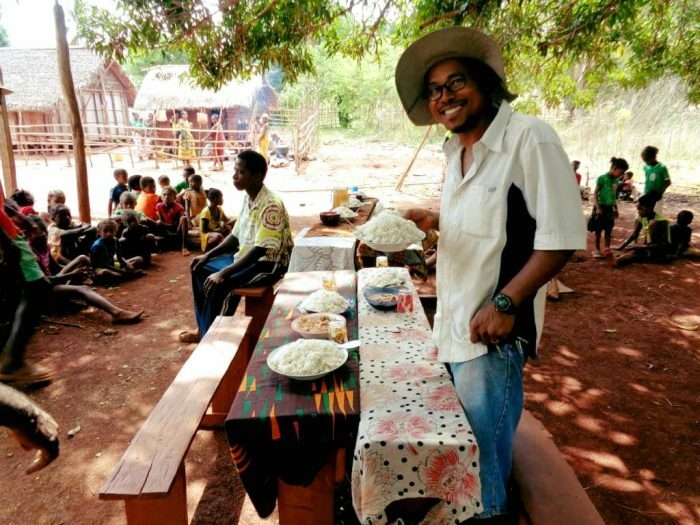 Poor residents in Madagascar are farming families in rural areas. Almost 80% of the country’s inhabitants live in the countryside, where living conditions have been steadily declining in recent years. Madagascar’s “paved roads” are in terrible shape. They’re filled with potholes and only wide enough for a single vehicle. Cyclones and extreme weather often decimate roads and bridges making travel even more difficult. Madagascar’s environmental degradation is severe. Perhaps 90% of Madagascar’s forests are gone while 25-30% of the country burns every year from agricultural fires. Soil erosion robs the country’s agricultural capacity and further impoverishes rural populations. Conserving what remains of Madagascar’s wildlands and biodiversity is key to the country’s future economic development.